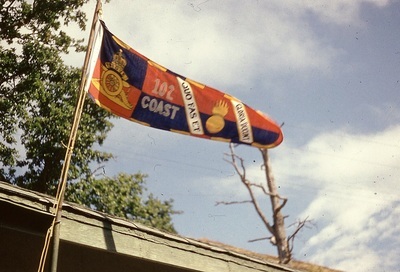 ​On 31 December 1954, the 102nd Coast Regiment, RCA was amalgamated with the 43rd Heavy Anti- Aircraft Regiment, RCA. 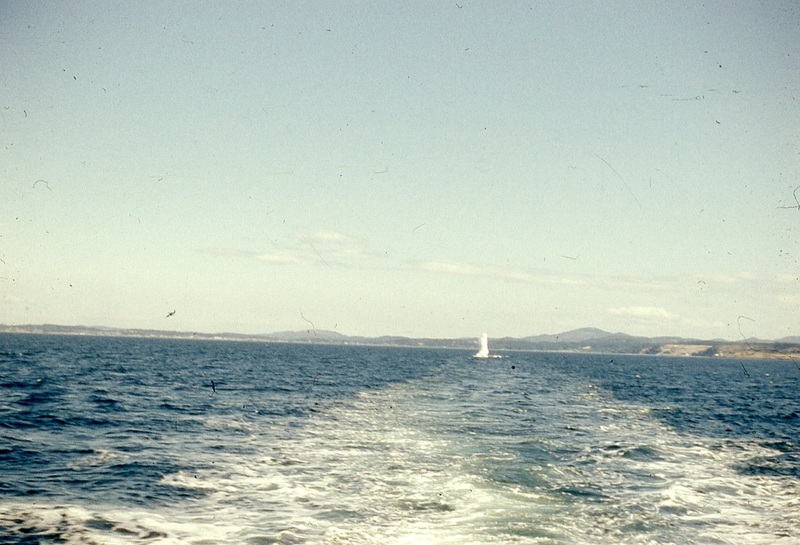 ​The slides are all in a slide holder marked from 20 June 1954 to 26 June 1954 with some of them marked as being Mary Hill which is on Vancouver Island. 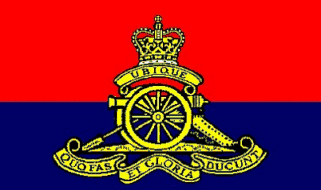 We have the unit's Artillery Standard being flown that week. 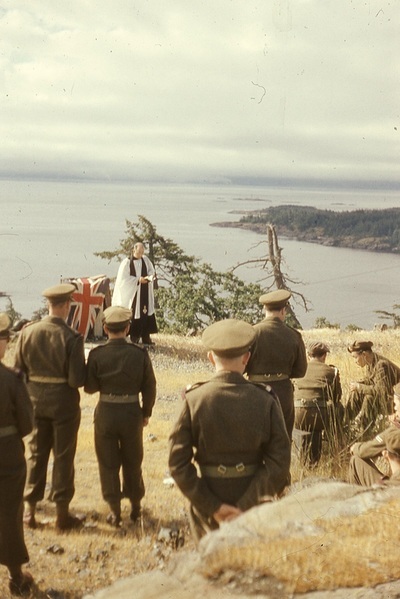 It appears that a religious Sunday service took place that day with members gathered on the hill top with a fantastic view. Captain Winfield Robinson leads the congregation. The Commanding Officer, Lieutenant-Colonel Peck reads a verse. 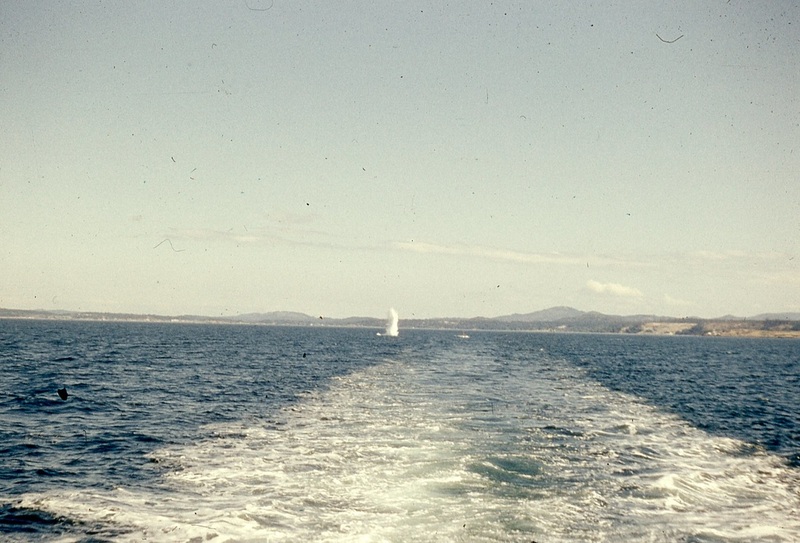 A few photos from a vessel showing coastal artillery impacts in it's wake. 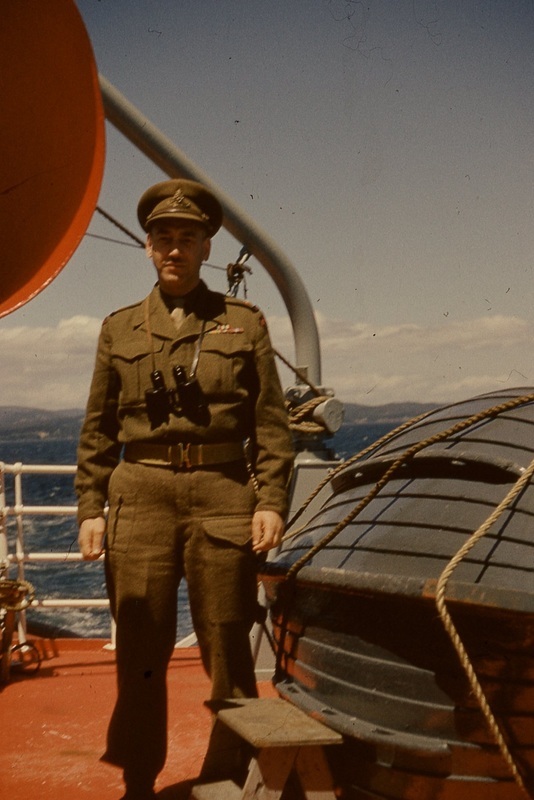 These are followed by a photo of Lieutenant Vic Stevenson on board the HMCS Clifton and a photo of Second Lieutenant Civ Hallett. Clifton operated out of Halifax during WW II, carrying out tug and salvage operations. 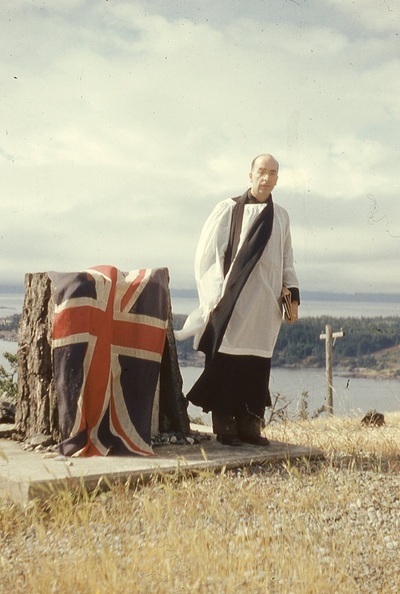 After the war she transferred to the Auxiliary Fleet and departed Halifax and arrived in Esquimalt on 22 Jul 1946. 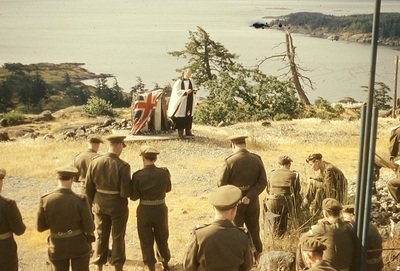 After the war ended and the RCN began downsizing, Clifton towed the demobilized vessels to their their temporary mothball positions at Indian Arm in Vancouver. Clifton operated as a tug performing many duties until removed from service approx 1975. She was sold in 1977 to commercial interests and was last seen towing a barge in the Fraser River. 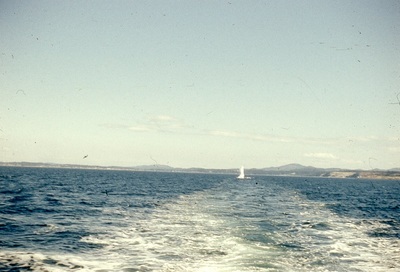 Her Transport Canada file was closed in 1985. 00:11 – Take Post – Bush dress, Sikh members of the Regiment in light coloured turbans, remainder in khaki berets. 00:37 – Passing ammunition up to gun platform. 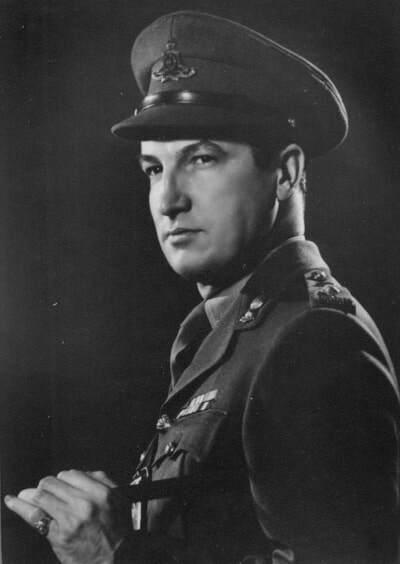 Note that the gunners are now all wearing bush caps. 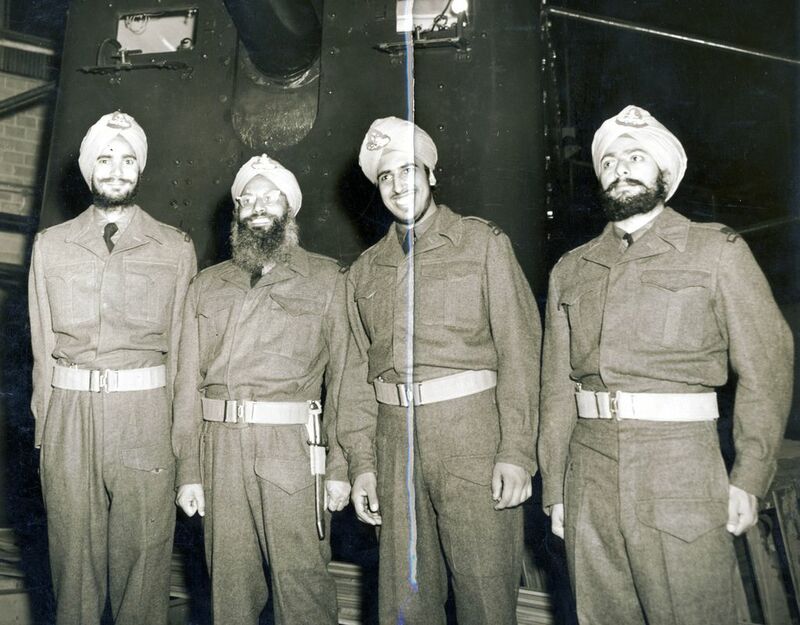 00:53 – Back to original gun detachment in turbans and berets. 01:01 – Load. Warrant Officer Class 2 as loading number. 01:10 – Training observers. 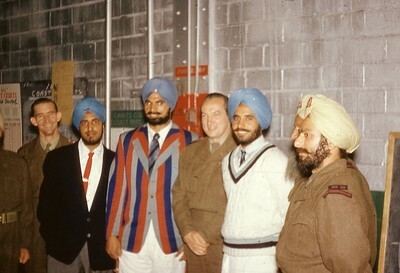 Appear mostly to be officers in forage caps and other ranks in khaki berets. 01:50 – Battery Observation Post (BOP). 01:56 – The gun traversing. 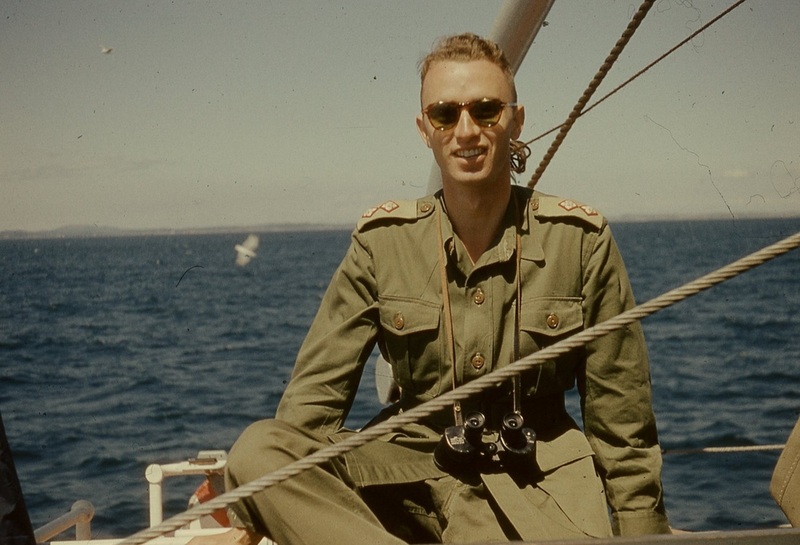 02:15 – Communicator standing beside vehicle marked with 4 Light Ant-Aircraft Regiment marking. 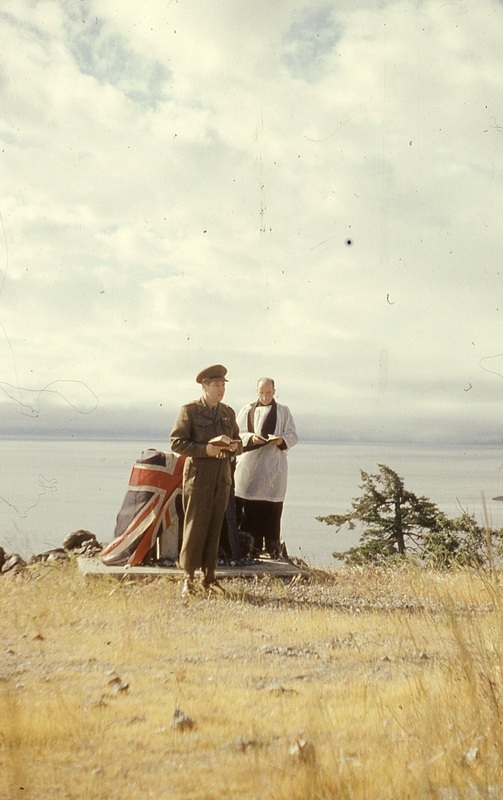 02:31 – Artillery officer on radio and Seaforth Highlanders of Canada Officer giving correction from BOP. 02:40 – Exterior photo of gun about to fire, commencing 3 round burst. 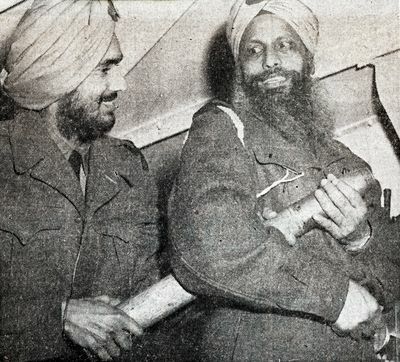 04:12 – Trio of Junior Officers observing. 04:28 – Gun detachment sauntering down the hill. 04:39 – Detachment (Troop?) marching off. 00:14 The siren? Or is it the gun platform in silhouette? 00:28 The observer detects a ship and alerts the battery. 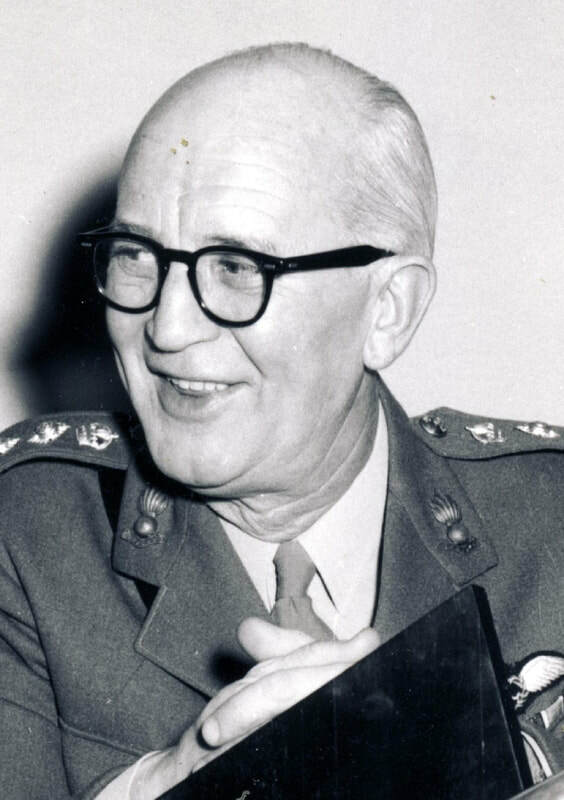 01:09 Lieutenant Vic Stevenson spit shining boots and then responding to alert. 01:26 The interrupted card game. 01:52 The interrupted down time. 02:08 Signaller passing fire orders. 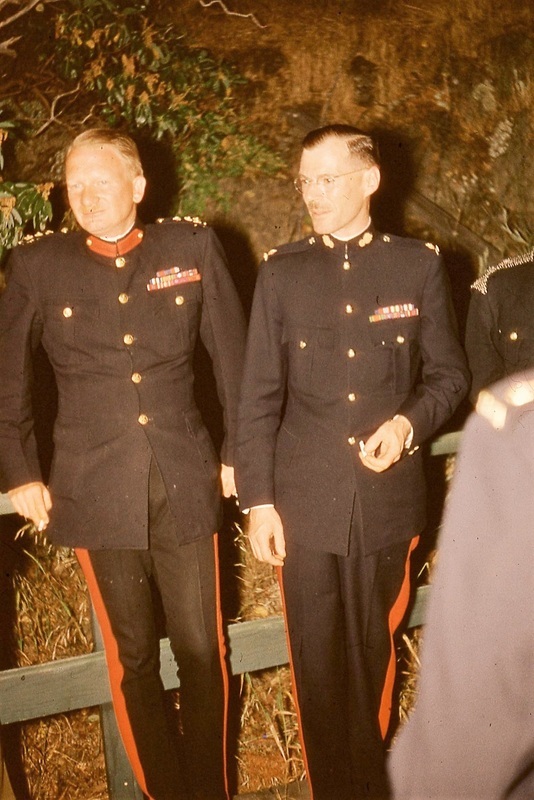 These photos are from a dinner held 25 June 1954 at Mary Hill. Second Lieutenant Vic Stevenson and Second Lieutenant Bill Botting amuse themselves with the latest in subaltern dinner tricks. Quite possibly the intent of the mechanized false teeth was to traverse the formal table setting at the appropriate time, or were they intended to mimic any speeches made during the dinner? Brigadier Megill and Major Ames. 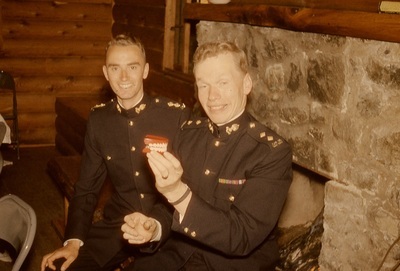 Second Lieutenant Ron Webster and Second Lieutenant Bill Botting appear to be opening a gift. 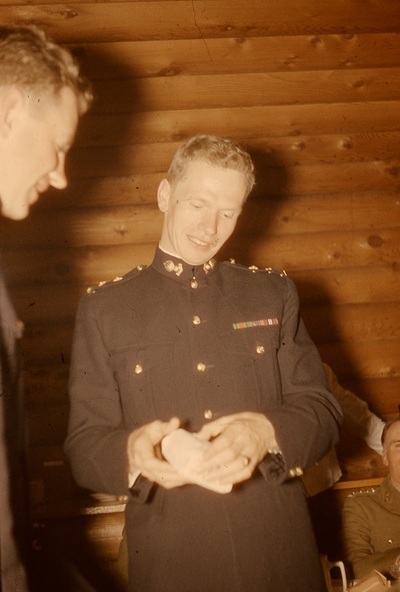 This may possibly be a gift for the Commanding Officer, Lieutenant-Colonel Peck who appears to be examining a brass button stick - was that the gift? 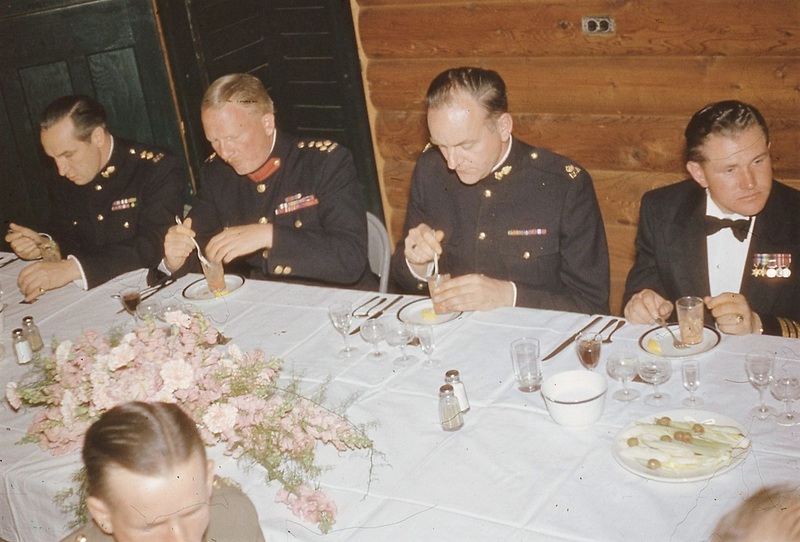 Commanding Officer, Lieutenant-Colonel Peck, Brigadier Megill, Major Black and Commander Stevenson start their meal with the shrimp cocktail. Afterwards, there's more frivolity with the subalterns. 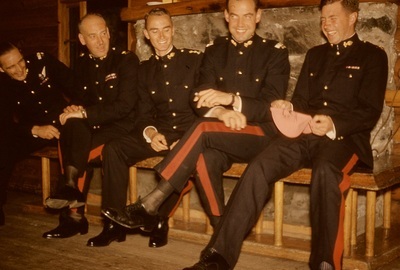 Officer Cadet Dave Pearson, Second Lieutenant Hallet, Lieutenant Stevenson, Officer Cadet Hicklenton and Second Lieutenant Webster. 00:17 – Senior officers after-dinner conversation with cigars. 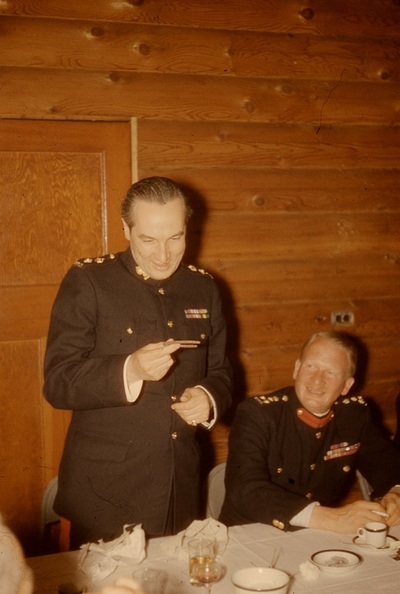 00:48 – Junior officers after-dinner conversation with cigars. 01:02 – What’s with that flower? 01:09 – What’s with the star? 01:33 – Flower alterations? The re-awarding of the flower? 02:28 – The balancing of a water glass trick. 03:07 – Beer bottle trick?? 03:34 – The dancing subaltern quartet? 03:47 – The song sheet comes out. The Screwguns? 04:08 – The chair balancing act. 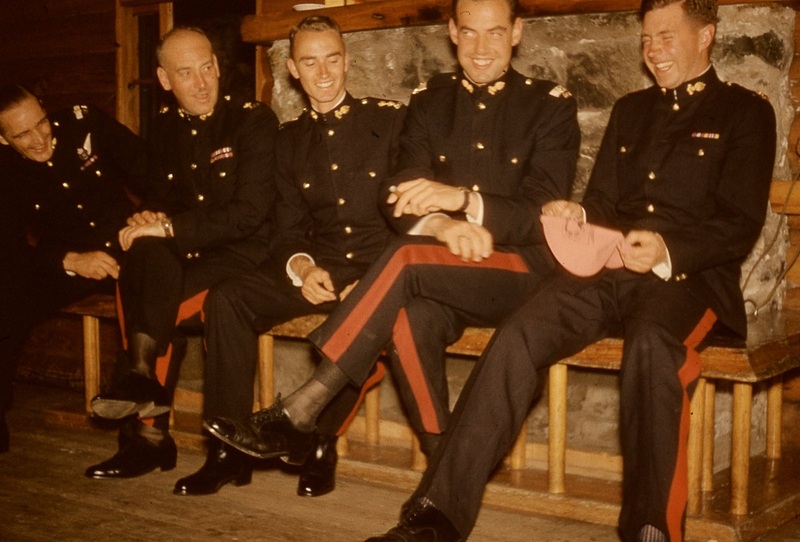 04:41 – Mess Dinner yoga? 04:48 – The chair balancing act, part 2. Any additional information on the activities in the video that can be provided to the author would be appreciated. The colour slide is titled Members Indian Beg Team 9 Aug 1954. We have two members that are already enrolled and wearing 102nd Coast Artillery insignia (there may be a third cut off on the left) with the Commanding Officer. The three gentlemen in suits may be new applicants. I'm not certain on the Beg part of the title; Beginner? 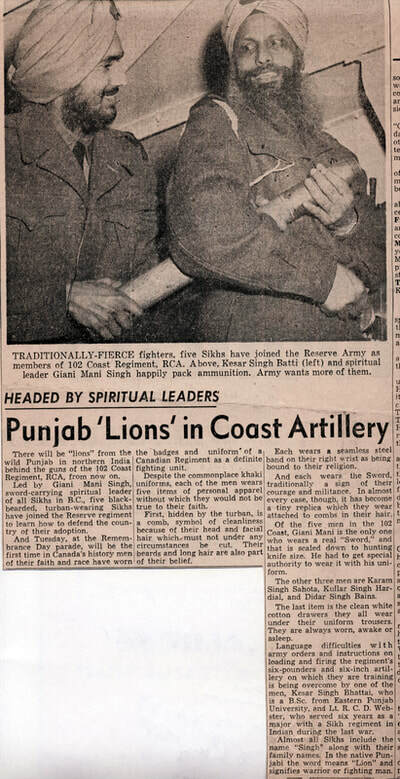 Additional photographs have surfaced including an undated newspaper article. The members have all been included in our nominal roll and we are actively seeking out the family stories of these former members. 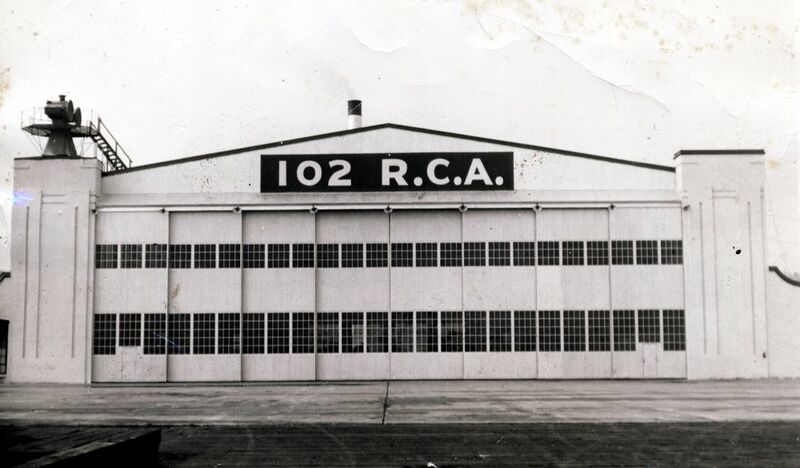 The Headquarters of the 102nd Coast Regiment was at Jericho Hanger #5.